I have been holding on to the cash that I had from the delisting of AusNetServices from Singapore Stock Exchange (SGX). 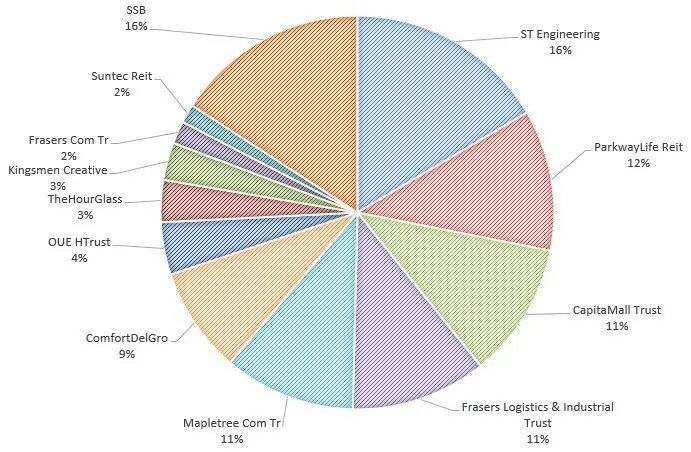 After a quick screening through my stock portfolio, I decided to increase my holdings of Frasers Logistics and Industrial Trust from 8% to 11%. The share price of Frasers Logistics and Industrial Trust hovers at S$1.04 to S$1.05 and may possibly go lower due to the weakening Aussie dollar against Singapore dollar. At the point of writing, S$1.00 translates to A$0.99. Given the current share price of S$1.05 and estimated dividend of 7.22 cents for FY18, this translates to a dividend yield of 6.88% which I deem to be pretty attractive. Besides risky stock investments, I also park some cash aside in safe haven. Given the average interest rate of 2.57% over a ten years period, I have also increased my allocation of Singapore Savings Bonds from 15% to 16%. Singapore Savings Bonds also acts as my emergency fund in case I am retrenched. I just read from the news that the number of unemployed people and those retrenched rose in the second quarter of the year. The number of retrenchments increased to 2,500 this quarter as compared to 2,320 in the preceding quarter! My spouse’s stock portfolio remains largely unchanged except a minor addition of 1% of Singapore Savings Bonds to her stock portfolio. I managed to convince her to perform the DBS Multiplier Account + Singapore Savings Bonds Hack. (Read more: Earn More Interest With DBS Multiplier Account + Singapore Savings Bonds ). Singtel’s share price has been on a roller coaster ride but I doubt it impacts her emotionally as she is the kind of “invest and forget” kind of person. The good news is that Singtel expects to maintain its ordinary dividends of 17.5 cents per share for the next two financial years. That is all my updates for July’s transactions. Keep calm and collect dividends! 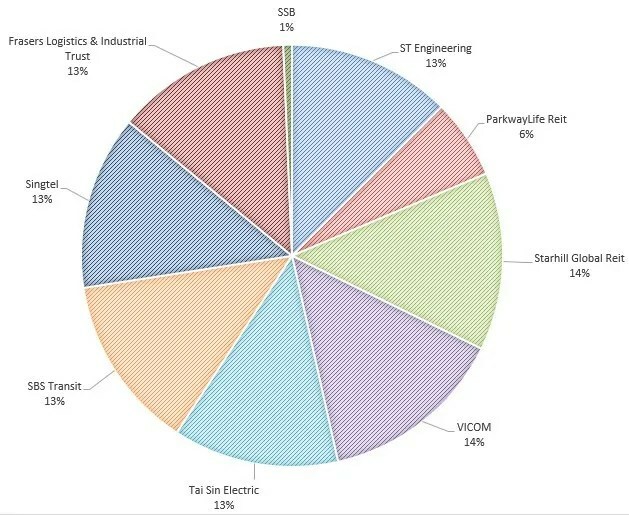 the debt ratio is pretty high, at 0.42.
many REITS available below 0.35.
if, like me, you sense an impending downturn, a low debt ratio may save the company some fundraising troubles.